Greater Moncton has been enveloped by cloudy skies, cold conditions and frequent showers this week thanks to our close proximity to the jet stream. While temperatures struggled to reach 6 or 7 C in the southeast, northwestern New Brunswick climbed into the low 20s today. 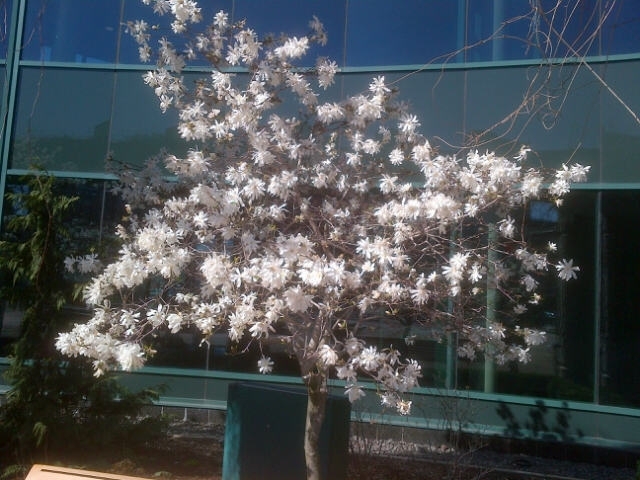 Forecasters say that warm air will finally push south this weekend with daytime highs near 18 C.
Magnolia trees are now in bloom in Greater Moncton. 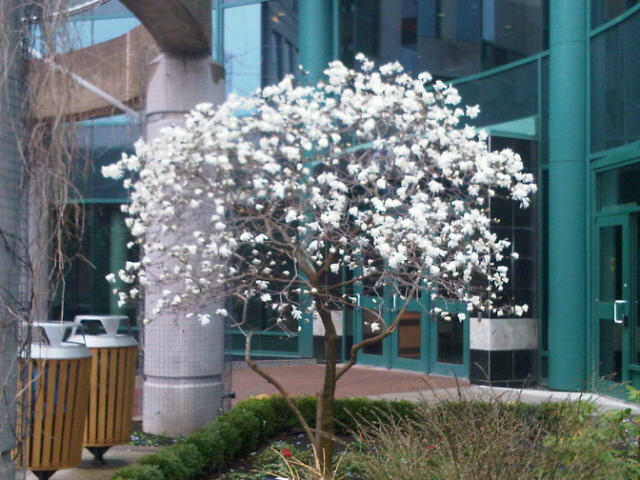 The above photo shows one of the Magnolias at Moncton City Hall plaza. What a beautiful time of year in Greater Moncton! Trees are sprouting leaves, flowers are in full bloom and the aroma of freshly cut grass is everywhere. 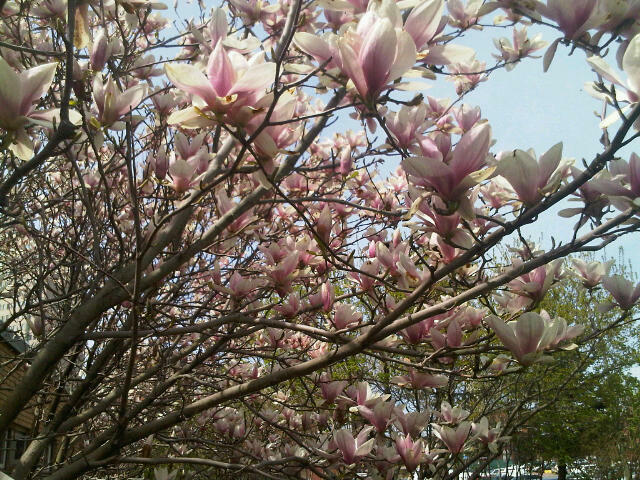 During a walk yesterday, I captured several magnolia trees blooming in Riverfront Park. A horticulturist friend of mine mentioned the trees, which are native to the American South, have suffered some damage in recent days given that overnight lows have dropped below freezing. Spring rain at last ! After a dry winter and a rather dry spring to date, the rain is finally falling in Southeast New Brunswick. Environment Canada has rain in the forecast for the entire week and some impressive totals have been recorded so far. New records were set at Saint John Airport with 44.3 mm of rain yesterday and in Bathurst at 20.8 mm. Greater Moncton officially recorded less than 5 mm but heavier showers fell overnight. The same system has brought snow to parts of Southern Ontario, Quebec and the American Northeast.